You disgusting libertarians think you have a right to steal and support theft! What hypocrites! I don't even know where to begin on explaining how stupid that comment is. Are you illiterate? 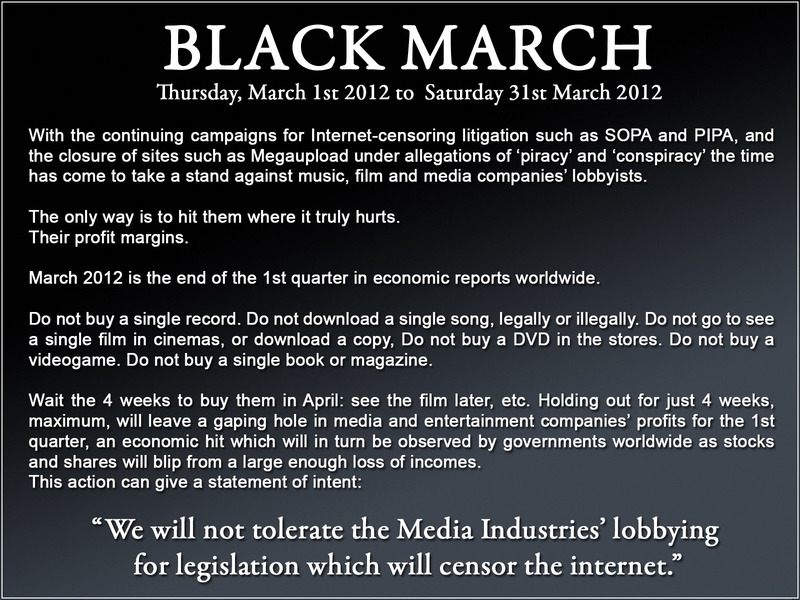 i'm not in support of online piracy - but i do not support the big and tv screens either. before they shut down sites - they need to look within studio walls at who is leaking the media. 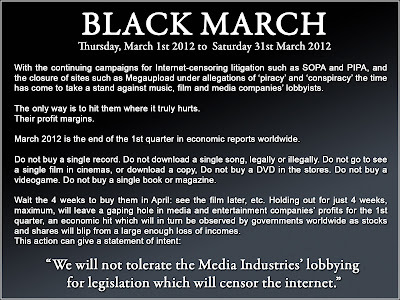 Black March - cool, I'm all over it. Yeah, stock up now... wait... damnit. I'll be using the library in March, I guess.